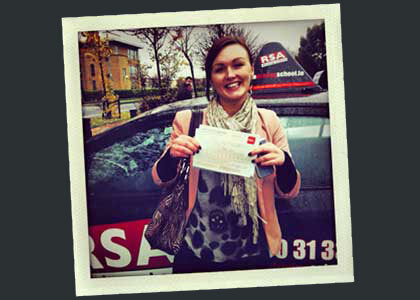 martina cawley had driving lessons in Dundrum and passed in raheny. 2 hours before I was due to sit my test,I got kevin to do a pre-test with me i did all my other lessons with a different company.Before he even sat into my car, he realised my nct was out ( i was fuming 85euro down the drain) Peter said not to panic I could use his car.I wasnt even going to do a pre-test,even if there was no issue with my car i wouldnt of passed the test without doing the pre-test with Peter, for the full hour he blitzed me with all the information and tips i needed to do the test (at 1 stage he got out of the car to prove the importance of looking over my shoulder,Id say any neighbours looking out found it fairly amusing watching a driving instructor pretending to be a 2yr old child running around a car) He calmed any nervs i had,i would highly recommend him. If you're a new student you will need to carry out the Essential Driver Training syllabus. 12 compulsory driving lessons outlined by the Road Safety Authority. Covering all areas of driving from car controls to night driving, the syllabus aims to provide all the required skills to be a safe and dependable road user . If you have to do your Essential Driver Training, we can help you get it done fast. Learning to drive in an automatic car is on the up. Being able to focus on aspects of your driving like changing direction and driving calmly is certainly one of the benefits of driving an automatic. For those that are tormented by changing gears or that just need an automatic licence we can help. 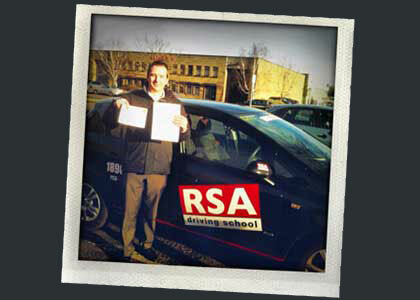 Automatic driving lessons are available all over County Dublin with RSA Driving School. Call us now. You're almost there. 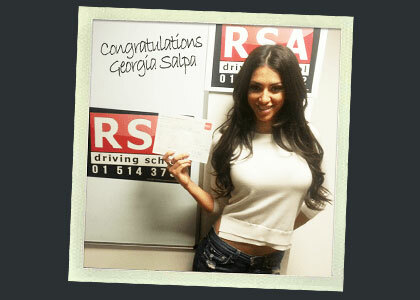 Your Essential Driver Training is complete and your driving test your driving test date has arrived. It's a nerve wrenching prospect but as Dublin's leading pretest driving school specialists we are the only realistic choice when it comes to test preparation. And our reputation speaks for itself...but don't take our word for it. Check out the kind words of our past pupils here. Good news! The hardship of finding a female driving instructor is a thing of the past. These days we are seeing a rising trend in lady instructor requests and we think this is great for the industry. We have lady driving instructors all over Dublin ready to help you. Learning to drive is hard enough especially without power steering and all the new driving features that come with modern cars. 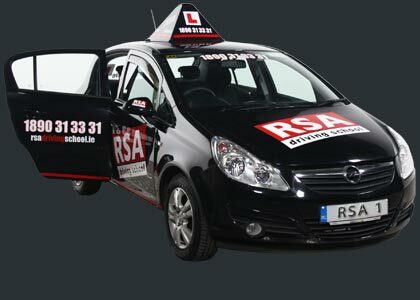 Our fully insured dual-controlled cars will guarantee that you get the very best driving lesson experience in Phibsboro. 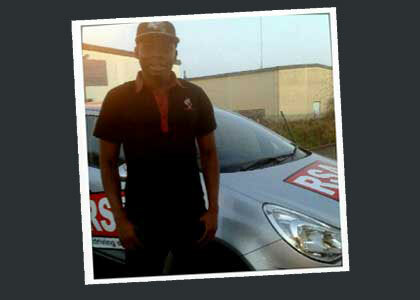 RSA Driving School has you covered. Lack of money is often the biggest hold back for young students which means they're missing out on life. So it makes a lot of sense to us to offer our driving gift voucher scheme so you can help that special someone. No more asking for lifts, a wealth of job opportunities and freedom to travel. There is no better gift in the world. We won't patronise you with stories of our grand pass rates. The shameful truth is that any school that boasts pass rates of 98% are feeding you lies which they can not substantiate. Why lie? Because their real reputation is poor and out of a desperation and want to get their hands on your hard earned euros, they try to manipulate you with fake stats. Here is the thing. Because of unforeseen circumstances or technical issues with vehicle a minimum of 10% of students fail the test on average. As I’m sure you can appreciate that means at best only 90% pass rate is achievable and even that is pushing the envelope of possibility. Tread carefully when choosing your driving school and you see claims such as these. Eamonn Sheridan had driving lessons in Dublin and passed in Finglas.